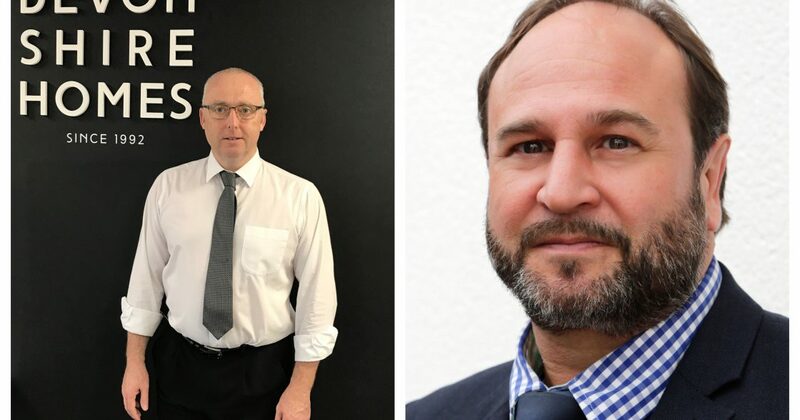 Devonshire Homes is delighted to announce the appointment of Greg Nurse as Head of Technical and Darren Chanell as an Estimator as we continue to expand across the West Country. Having begun his career as an architectural technician, Greg has over 25 years of industry experience. As the Head of Technical, Greg’s role is incredibly varied, providing technical and building advice to all departments from concept stage through to the end of the build. Darren brings 32 years of industry experience to the growing Devonshire Homes team. Having previously worked for the housebuilder as a Quantity Surveyor, Darren has returned to the team as an Estimator. Based at Devonshire Homes’ Tiverton head office, Darren works with and assists the Head of Land and with high visibility and detailed land appraisals. If you’re looking for a new home in Devon, visit our Marketing Suites at: Ladywell Meadows, Chulmleigh; The Tors, Bovey Tracey; Tarka View, Crediton and Mazzard View, Landkey.